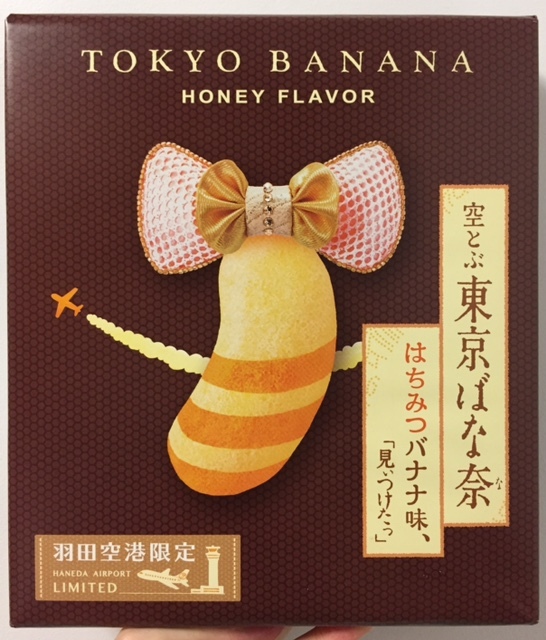 My husband was on a business trip and I asked him to get me some snacks from Japan, and one of them was Haneda Airport only Tokyo Banana, called "Soratobu Tokyo Banana Honey Banana Flavor" that was just launched on August 1, 2017. * Soratobu (空とぶ) means flying. 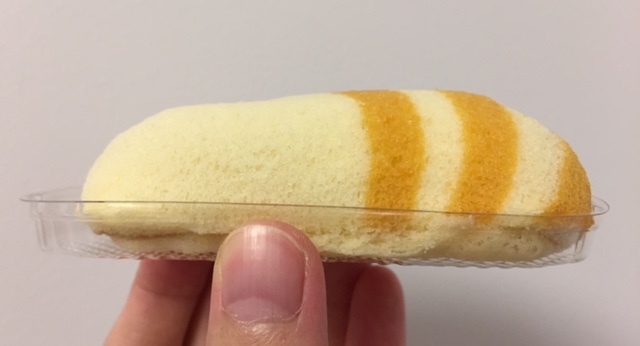 The brown wrapping paper had tiny honeycomb patterns. 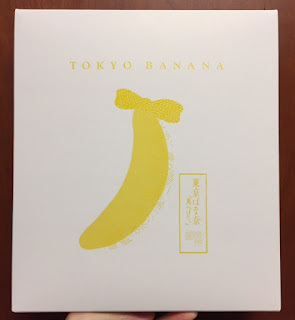 Under the wrapping paper, there's a plane white box. 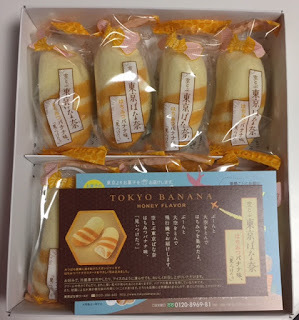 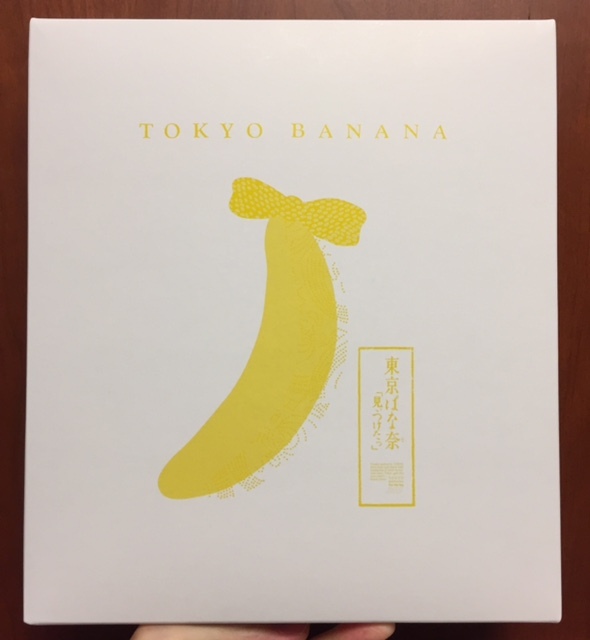 There're 8 individually wrapped Tokyo Banana. 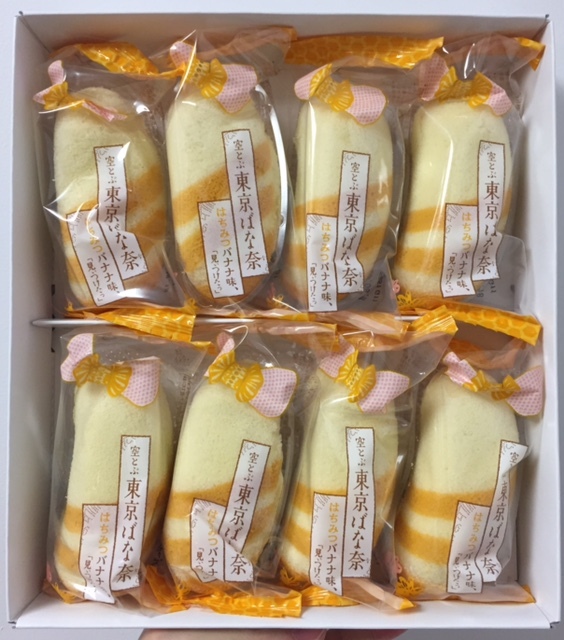 We gathered honey by flying the sky. We deliver by the airplane flying the sky. 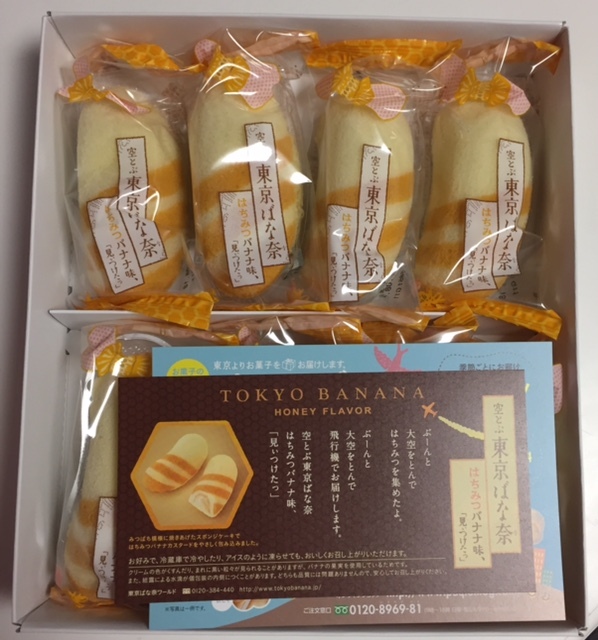 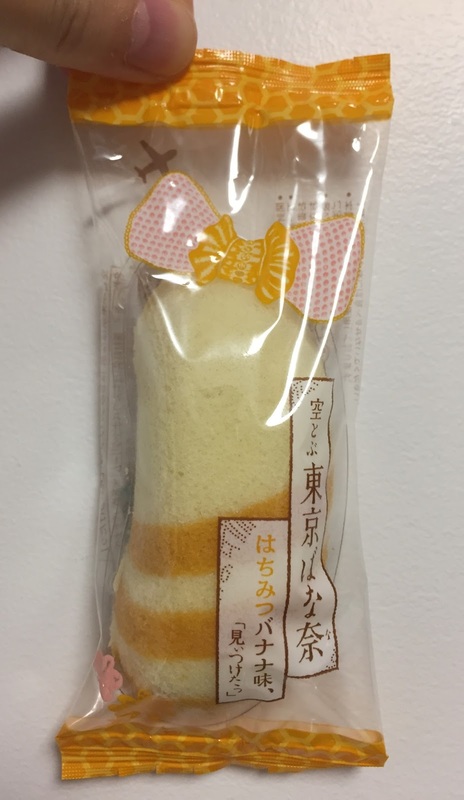 Soratobu Tokyo Banana Honey Banana Flavor, "We found it." 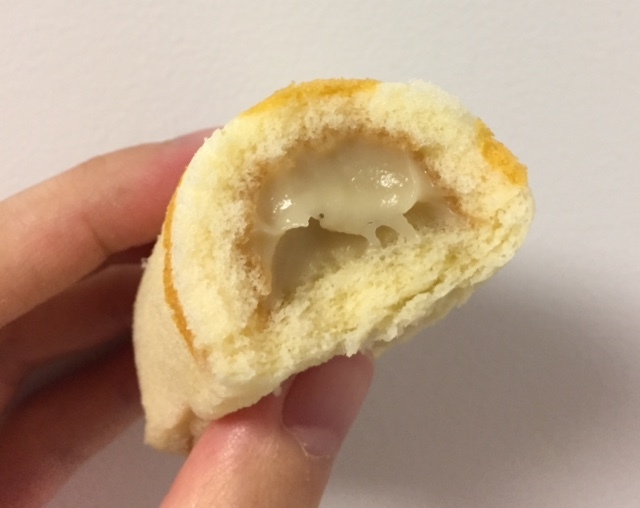 The bottom and the top of the pouch had honeycomb patterns. There're pink and orange flowers on the package. 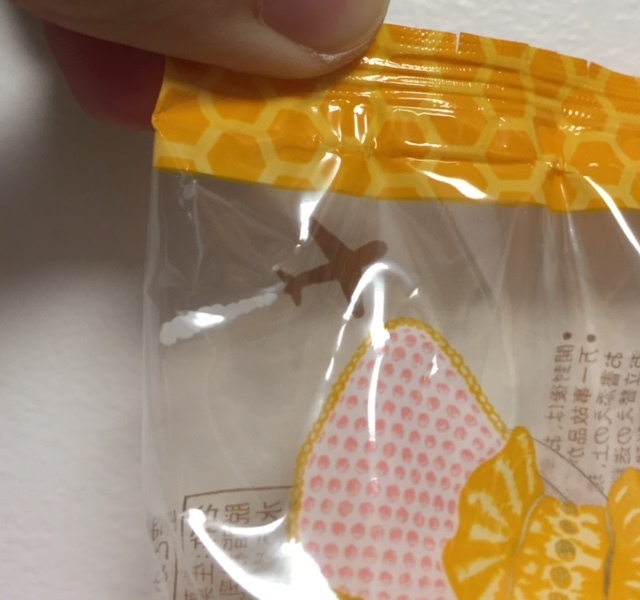 Same as the wrapping paper, there's an airplane with condensation trail. 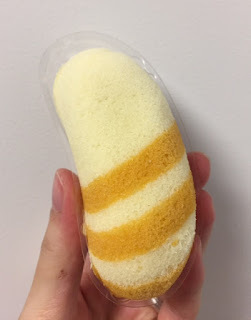 The stripes of the spongecake resemble honeybees. In the center of the moist and airy spongecake, there's honey banana custard cream. 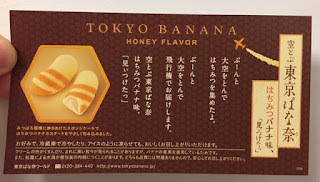 The cream had rich banana flavor and sweet honey taste, and it's quite sweet and I got satisfied by just eating one piece. The honey flavor was weaker than I had expected, and the banana flavor was much stronger.